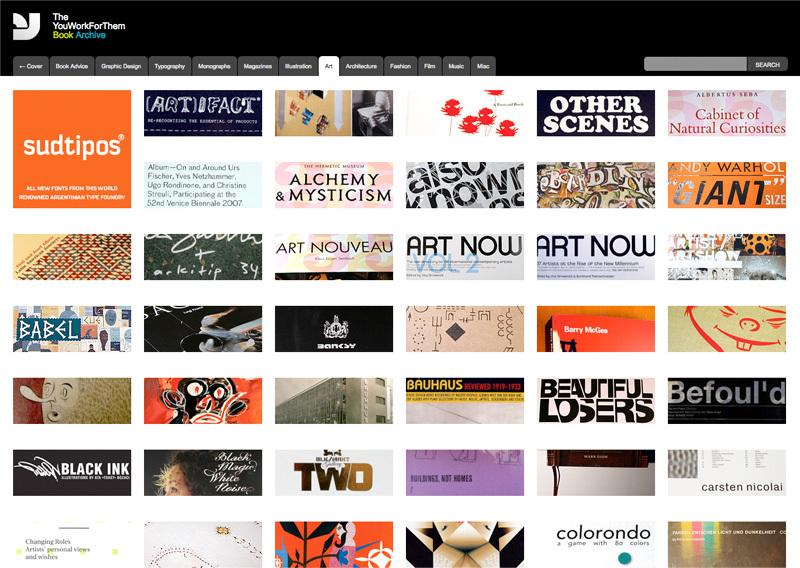 You Work For Them discontinued selling books on their site (sad face) some time ago but have released a new Book Archive that is essentially a collection of some of the best books about design, typography, art, etc.. which are each linked up to buy on Amazon. The benefit of using the YWFT Book Archive to browse books is that they have better descriptions, better images and categorization than you could find by using Amazon alone. They also have a Book Advice section that outlines which books are essential for designers to own or learn from. This entry was posted on Tuesday, January 12th, 2010 at 9:13 am by Jason Hardy	and is filed under Art, Design, Short-Form. You can follow any responses to this entry through the RSS 2.0 feed. You can leave a response, or trackback from your own site.